Regarded across America and around the world as one of today’s finest concert organists, Todd Wilson is head of the Organ Department at The Cleveland Institute of Music, and is also Director of Music at Trinity Episcopal Cathedral in Cleveland, Ohio and Curator of the E.M. Skinner pipe organ at Severance Hall (home of The Cleveland Orchestra). Mr. Wilson received his Bachelor and Master of Music degrees from the College-Conservatory of Music at the University of Cincinnati, where he studied organ with Wayne Fisher. Further coaching in organ repertoire was with Russell Saunders at The Eastman School of Music. He has won numerous competitions, including the Grand Prix de Chartres (France) and the Ft. Wayne Competition. An active member of the American Guild of Organists, Mr. Wilson holds the Fellow and Choirmaster certificates. Todd Wilson has been heard in concert in many major cities throughout the United States, Europe, and Japan, including concerts at Symphony Hall (Birmingham, UK), Los Angeles’ Walt Disney Concert Hall, Philadelphia’s Verizon Hall, Chicago's Orchestra Hall, Dallas’ Meyerson Symphony Center. In June of 2003 he dedicated the organ in the new 21,000-seat Mormon Conference Center in Salt Lake City, in October 2004 he performed with the Los Angeles Philharmonic Orchestra on the first orchestra subscription series concert featuring the new organ at Disney Hall in Los Angeles. Mr. Wilson is an annual performer on the William J. Gillespie Organ in Segerstrom Concert Hall. 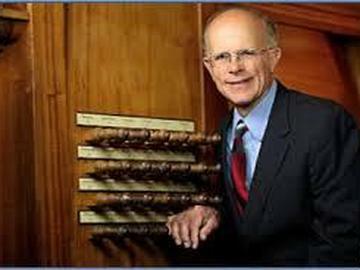 We are honored to have him perform here in the Arboretum on our beautiful Aeolian-Skinner Organ for Christ Cathedral Concert in conjunction with the Orange County Chapter of the American Guild of Organists.